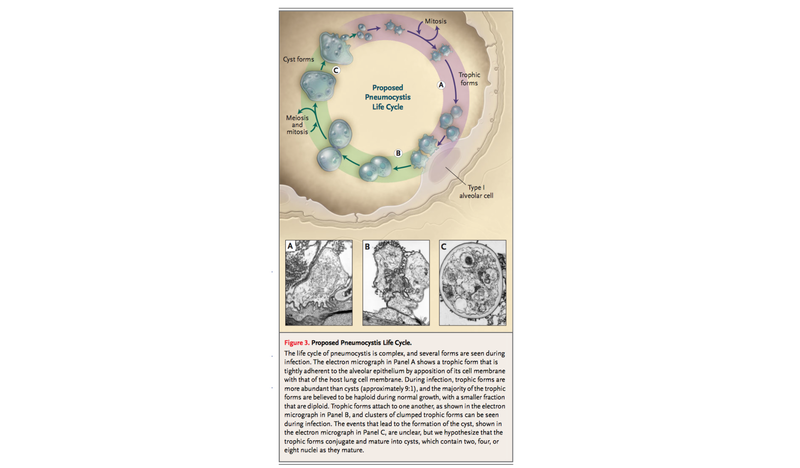 Cryptococcosis disease occurs after 2.8%–8% of solid- organ transplants, and is the third-commonest invasive fungal infection in this setting, after Candida and Aspergillus. 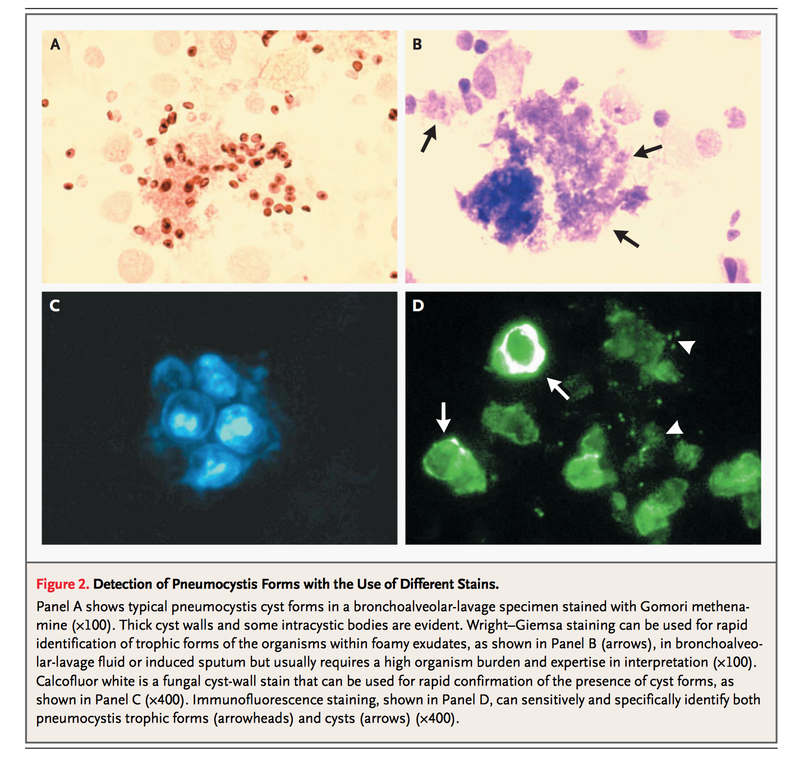 the galactomannan test, may aid in the detection of common invasive fungal infections. Serial serum monitoring for either of these fungal wall elements can be used to guide initiation of preemptive antifungal therapy in high-risk patients. Although up to 90% of chest x-rays in patients with PCP are abnormal, appearances are often non-specific. Between 10-15% of patients with PCP have normal chest radiographs and close to 30% have non-specific or inconclusive findings . Pleural effusions are normally not a feature being seen in less than 5% of cases . High resolution computed tomography (HRCT) is more sensitive and may be used to exclude PCP in patients with clinical suspicion for PCP but normal or inconclusive chest radiographs. Without CNS involvement: Skin: no specific manifestation: includes papules, plaques,vesicles, tumor-like lesions, and rashes etc. Lesser degrees of selectivity to fungal Cty P450 enzymes. Hence, more toxic. Fluconazole has good bioavailability; also has least hepatic effect on hepatic micro enzyme, and tolerated better. Anidulafungin is given at an initial dose of 200 mg on the first day, followed by 100 mg daily. Micafungin for candidemia, dose of 100 mg daily was used in the European studies. Echinocandins have no activity against Cryptococcus, and Trichosporon even though they are yeast. However, they work on almost all species of Candia. 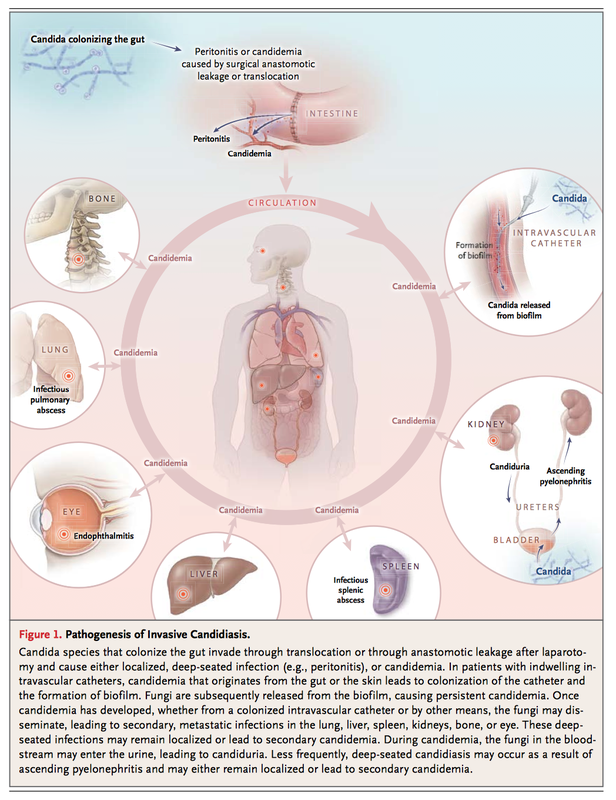 There is some concern for resistance to Candida Parapsirolis. MOA: (PYRIMIDINE ANALOG) taken up by fungal cells via the enzyme cytosine perm ease - converted intracellular into 5-FU. Undergoes further modification to FdUMP and FUTP (Fluorouridine triphosphate). FUTP inhibit DNA and RNA respectively. MOA: like Azoles, it interferes with ergosterol synthesis. Mechanism is different thought. Instead of interacting with Cty P450 enzyme, it inhibits squalene epoxidase. This leads to accumulation of squalene which is toxic to the fungus.